SALT LAKE CITY, Utah – HARMAN’s dbx today announced the introduction of its model 676 Tube Mic Pre Channel Strip, a vacuum tube-based microphone preamplifier that offers a host of flexible sound-tailoring options to deliver extraordinary audio quality in recording and live sound applications. The dbx 676 offers ¼-inch and XLR inputs and outputs, a front-panel instrument input and a side chain insert. The 676 allows for precise tailoring of input and output levels which can be monitored by its large multi-function VU meter. Although comprehensive in its capabilities the dbx 676 is designed for ease of use, with its vintage-style controls and VU metering. The 676 features military-grade build for total reliability and mounts in a 2U rack space. 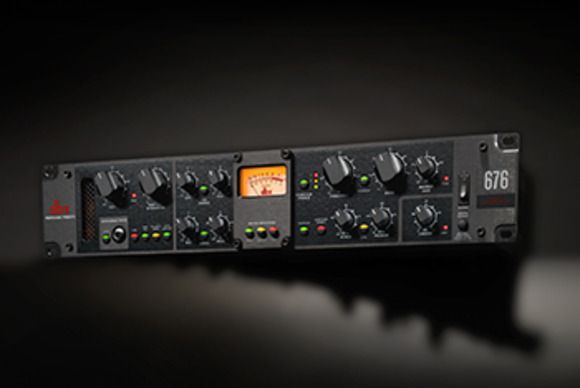 The dbx 676 Tube Mic Pre Channel Strip will be available in January 2015 at a U.S. street price of $999.95.